The Sahrawi Arab Democratic Republic (SADR or Western Sahara) is a former Spanish colony. 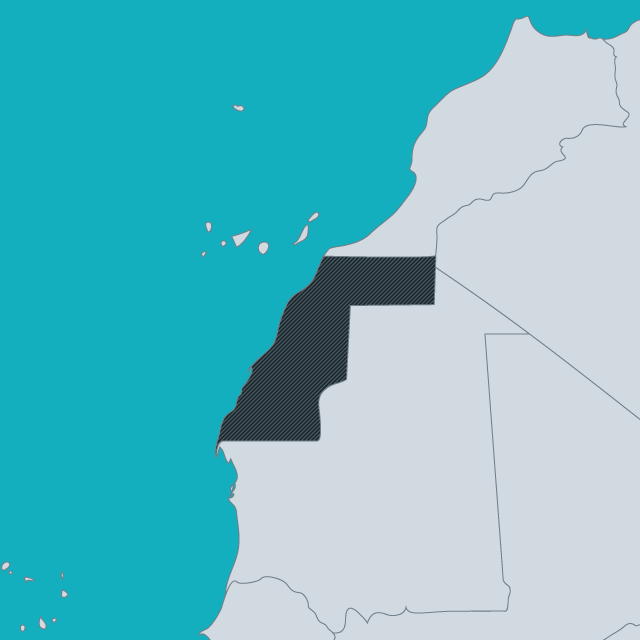 As the Spanish were preparing for a referendum on the region’s status, both Morocco and Mauritania asserted rights over the territory. In 1975, Moroccan troops took control of the region while in 1976 they agreed a partition with Mauritania. Mauritania renounced its claims in 1979, leaving Morocco in de facto control. The territory remains contested between Mauritania and the Polisario Front, asserting claims on behalf of the Sahrawi people. In 1984, the SADR was recognized by the Organization of African Union in 1984 with support from Algeria and Libya, leading Morocco to leave the continental body. SADR remains a member of the African Union, although Morocco rejoined in 2017. A large proportion of the Sahrawi population remains in exile, particularly in large refugee camps around Tindouf in Algeria. These refugees remain, for the most part unintegrated and without access to full citizenship rights. There refugees are able to access passports issued by the SADR, but these are only valid for travel to the minority of countries that recognize SADR. The government of Algeria will also offer temporary passports to travel to countries that do not recognize SADR in some cases, but these do not confer the same rights as citizenship.